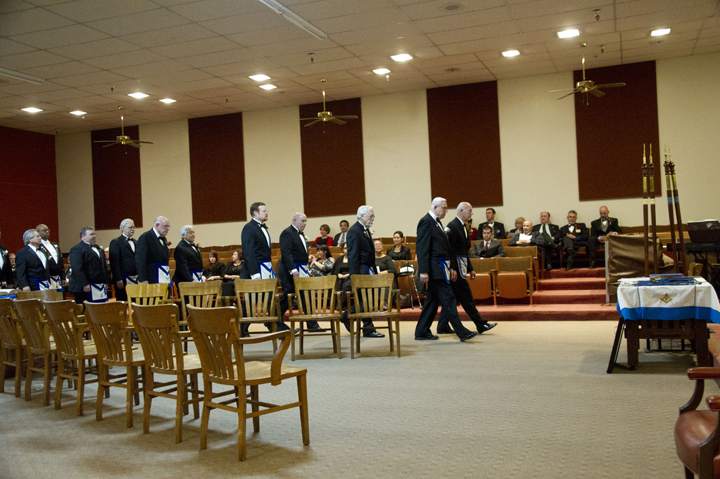 In addition to hosting more than 12 different Masonic organizations, we open our doors for community events and celebrations year-round. With flexible facilities and easy access to major freeways, we are one of the top choices for hosting events from 3 to 300 people. 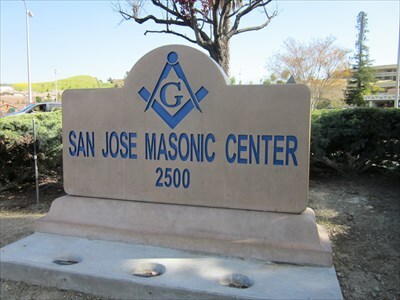 The San Jose Masonic Center is a versatile space located at 2500 Masonic Drive in San Jose. With three large meeting rooms, a large central lobby area, and three dining rooms, the center can host events, large and small. The center is also equipped with a commercial grade kitchen ready for large scale cooking events or formal catering. Let us help make your event a success !!! 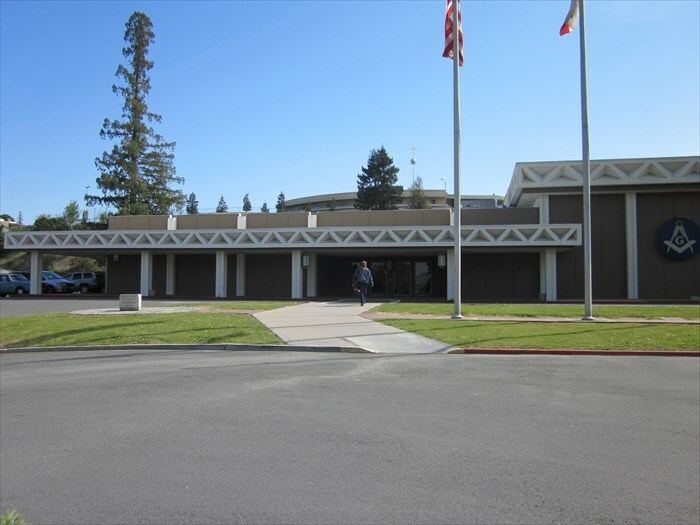 The first thing your guests see when attending an event at the San Jose Masonic Center is a large open lobby area that can be fully decorated to meet the event needs. With several tables throughout the lobby, your guests can sit and converse or enjoy mingling with each other until your main event starts. With the dining areas and meeting rooms on either side of the lobby, setting up a guest sign-in or event check-in area is very easy while keeping an easy flow between spaces. The lobby runs the length of the building which can allow commingling of groups meeting in the three meeting rooms if desired. This feature is ideal for break-out sessions and company training. The center has three meeting rooms. Two of those meeting rooms are approximately 3000 square feet (75' x 40') and can seat more than 70 people in fixed seating with more room for additional chairs if needed. Ideal for presentations or instruction, each meeting room has independent audio systems suitable for connecting microphones, music players, or sound outputs from computers or projectors. Each room also has a large projection screen (10' x 10'). The raised area at the front of the room is ideal for podium placement and provides flexible placement to be in the center or on either side of the projection screen. Lighting in the rooms is flexible to allow general meeting lighting, dimmed lighting near the projector screen, or dim room lighting with adjustable brightness around the podium area. Like the smaller meeting rooms, the large meeting room is equipped with an independent audio system suitable for connecting microphones, music players, or sound outputs from computers or projectors. Lighting in this room is also similar in that it can focus on the speaker, allow for use of the projection screen with area lighting still available, or lighting up the entire room. The main difference for this room is in the size and seating capacity. With almost 4000 square feet to work with and more than 100 fixed seats, this room can host a much larger group. Many of our Masonic groups have used this room for large formal events while other have used it for family movie nights. 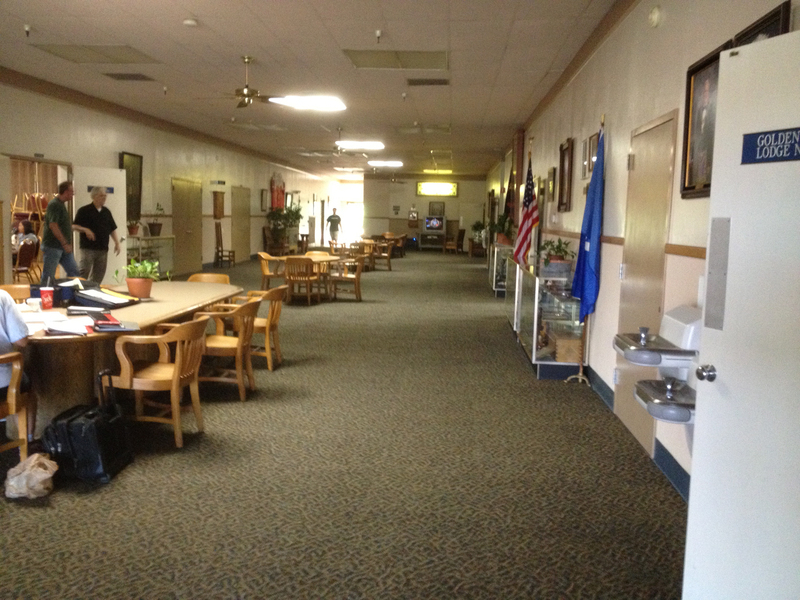 There are a total of three dining rooms at the San Jose Masonic Center. Two of these dining rooms can accommodate 40 guests comfortably for a seated meal. These dining areas can be segmented off for your smaller private party or all three dining rooms can be opened up together to seat a large event. The smaller dining areas have serving windows from the kitchen to set out food or drinks or allow serving staff to deliver food to guests. The smaller dining rooms can accommodate a serving/buffet bar. The large dining room provides a very flexible area for the mid-sized gathering or more fully catered event. With comfortable seating for 90 - 100 people, there is still room for a beverage bar and a buffet line. There is an easy serve through window from the kitchen to allow serving staff to deliver food and drinks to guests if that is more inline with your meal. As a bonus for the large dining area, there is a stage that can support live music or other entertainment during the meal if desired. The kitchen boasts five restaurant level stoves and ovens that can be shared between any of the dining areas. Supporting these professional cooking surfaces are commercial refrigerators, large food preparation surfaces, and stainless steel counters for serving large cooked dishes or for setting out catered meals. The outdoor barbecue area is one of favorite spots for summertime parties and gatherings. Two large brick fire pits and adjustable height grills allow for serious cooking or simple reheating of food. This site is frequently used by groups from late April through October for casual celebrations. There is plenty of room to place tables and chairs for a seated meal for more than 150 people. 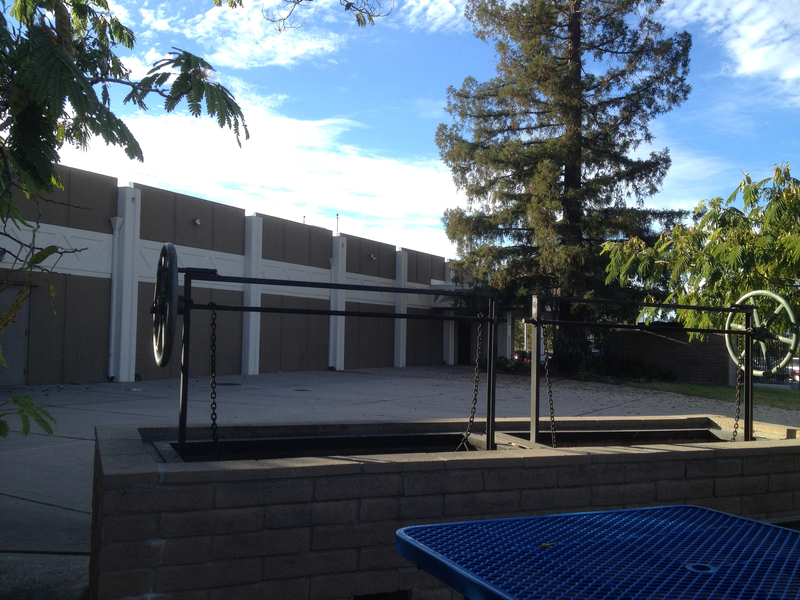 With wide open spaces for a dunk-tank, live band, bounce house, or other outdoor attraction, this is the ideal spot for any family get-together or office party.